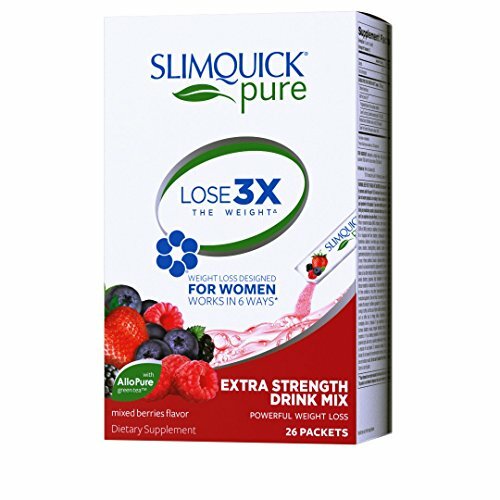 New Slimquick Pure Mixed Berry Drink Mix is the only weight loss supplement designed specifically to help women lose 3 times the weight. It is a fat burner product that not only suppresses your appetite but also boosts your metabolism to burn more fat. Our Slimquick Pure Drink Mix is designed to use our 6-ways weight loss complex to increase your metabolism, reduce your appetite, boost your energy reduce excess water weight, support hormone regulation and production, and reduce stress. Substitute this for your morning juice and sip it throughout the day for an effective and delicious way to lose some of those excess pounds. It is a great tasting way to lose weight and contains 0 calories. On top of that it is sugar free! If you have any questions about this product by SlimQuick, contact us by completing and submitting the form below. If you are looking for a specif part number, please include it with your message.